When it comes to redecorating a home perhaps the most important decision you’ll make is what colour your walls should be, make the wrong choice and you’re stuck with a peculiar colour until you can summon the strength to do it all over again, but make the right choice and your home will transform before your eyes. The paint company most of us jump straight to for beautiful colours is the paint master themselves Farrow and Ball, and it’s true they do produce fantastic, timeless colours, but with so many other fabulous companies producing amazing paints I thought I’d put Farrow and Ball on the backburner for today and introduce to you some of the best paint companies around. Designers Guild are known for their bold patterns and their colour palette in their paint department is no different, from beautiful pastel pinks, to zingy lime greens if you’re walls are in need of the ultimate sprucing up then Designers Guild should be your first port of call. I absolutely love this Mimosa Leaf colour, it’s a bold move that certainly isn’t for the faint-hearted but if you’ve got the guts it’s definitely a way to make an impression. If you want to introduce a wild colour into your interiors it’s best to opt for a room that has either a lot of windows or features that will break up a wall so that you can avoid one giant block of colour that might end up looking a little scary and intimidating. If bright, colourful hues aren’t really your taste there are some absolutely drool-worthy tall, dark and handsome colours around if you’re looking to add a little mystery and romance to your interiors. 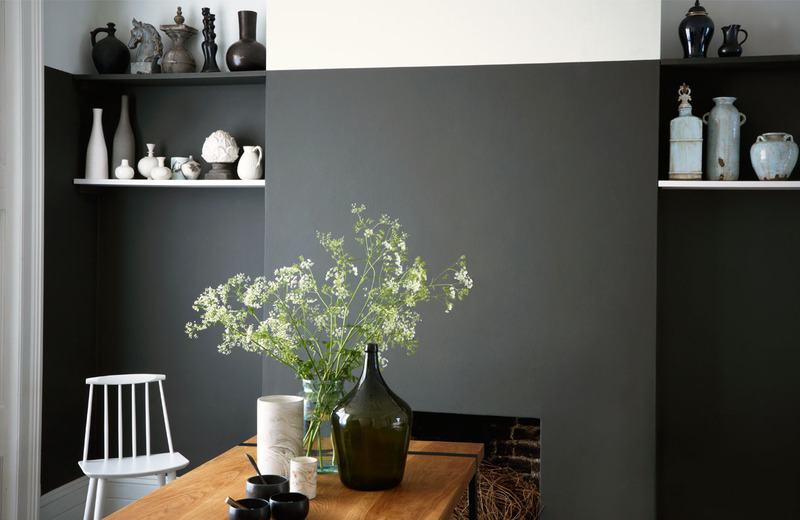 The Little Greene Paint Company is a lovely company that create a super high quality paint collection and they have some outrageously glamourous dark shades in their range. This bluey green reminds me of the depths of the ocean and creates an amazing modern presence in a room especially when mixed with the richness of a dark wood like in the photo above. The smokiness of this green creates a beautiful earthy, organic ambience and with the splash of hot pink, or another bright colour, there is a real contemporary vibe to the atmosphere. When using such a dark colour it’s always important to have a lot of natural light so that the colour doesn’t overpower the room but instead will be showed-off in the light. One company that has really found its stride in its paint department is Fired Earth, they are producing some wonderful colours. Their most recent spring collection was created around the theme of birds, my personal favourite was the Peafowl green, a wonderful colour that is bold enough to make a statement but not so bright as to make a room too intense. Just like some people, some homes have a natural flair for the dramatics and finding the right theatrical colour is crucial. There’s a devilishly exciting feeling about using black or near-black in a home, it’s a little off-key and against the grain but if done well and in the right home it can look absolutely terrific. Charcoal from Fired Earth is oh so tempting and is an extremely brave and original way to reinvent an interior. 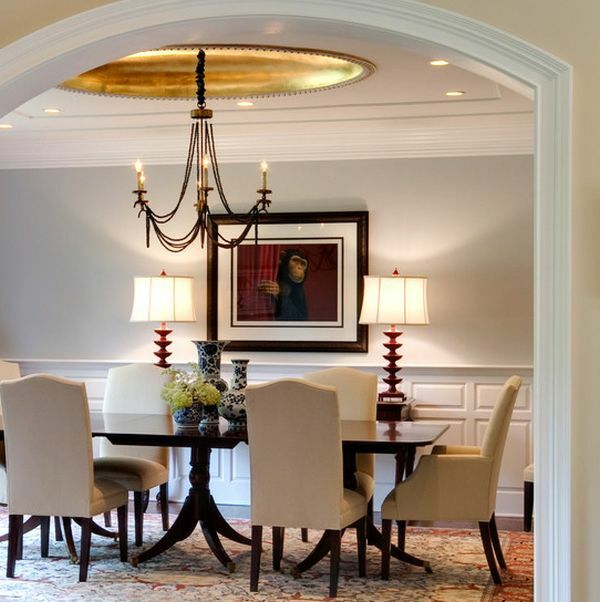 For something just as rich but a little mellower, a deep plum purple is a great way to add drama to a home but still maintain a scheme that works in the everyday. 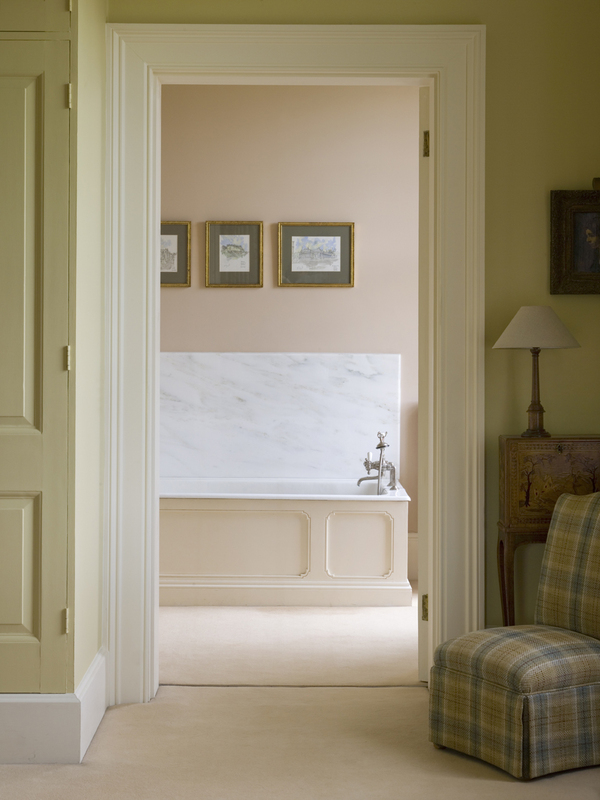 For a diverse range of tones and hues Sanderson and Zoffany have wonderful collections ranging from pale pastels to moody blues. Companies that make the paint, fabric and wallpaper trio have a natural knack at creating the perfect symmetry between each material. So if you have a sofa upholstered in a fabric by a beloved designer or a feature wall in a wallpaper, looking into the same companies paint range may be the best way to find the most complementary schemes. 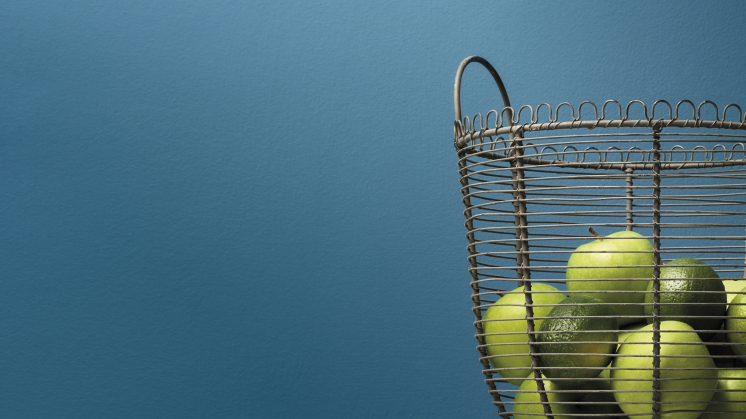 There is so much fun to be had when choosing paint colours for your home, it’s the perfect opportunity to explore and experiment with your taste and your comfort zone and create the most wonderfully personalised walls for you, and with so many collections and companies out there you truly are spoilt for choice! So many wonderful fabrics take their inspiration from nature but every so often I come across a design that conjures up images of hot houses full of leafy tropical plants or those detailed old botanical drawings that accurately depict the exact details of a species, which are such a lovely things to use in an interior, particularly if your garden isn’t up to Chelsea’s high standards. I think illustrative prints work brilliantly on upholstery where you can really see the detail of the design. Woodland Ferns from Sanderson is a design taken from an old botanical illustration and shows three different species of fern. Bananier is a wallpaper from Pierre Frey which has the most wonderful detail of banana and coconut leaves and should be used where it is possible to get really close to the paper to see the detail. House of Hackney’s wonderful Palmeral design takes inspiration from the Loddiges Nursery in Hackney which was operating up to 1852 and which included an enormous and well stocked palm house. This delicate and exquisitely drawn design from Sanderson has been a favourite of mine for a long time. It comes in some great colourways but I love the more neutral backgrounds to really show the detail of the pattern. Etchings and Roses by Sanderson. This fantastic Dandelion design from Timorous Beasties comes in three huge panels printed on a wool voile with a three metre drop – the image shows the three panels together. This new fabric, Retiro, from Gastón Y Daniela is a wonderful mixture of plants and insects and comes in five different colours all on a soft linen background. And finally this delightfully fresh fabric Alice from Manuel Canovas for Colefax and Fowler shows a range of white cut flowers on a natural background. Have a great bank holiday weekend everyone! Whilst we are just still in the season of rounding up 2014, can I add one last offering of my own which is some great paint colours we have used, discovered and reacquainted ourselves with during the last year. Here are 10 of my favourites. This is a fantastic shade of green which reminds of the colour of fresh green basil. 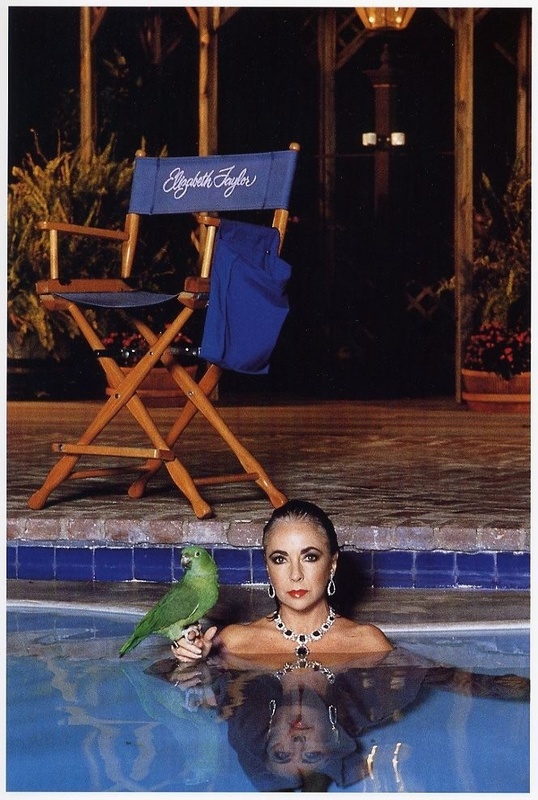 However, the inspiration for the shade is far more glamorous as it is inspired by the beautiful Helmut Newton photograph of Elizabeth Taylor in her swimming pool with, you guessed it, her parrot. Dark colours in interiors are oh so in at the moment which is giving us lots of lovely shades to choose from. No one does dark colours better than Abigail Ahern and of her very tempting range I have chosen Bleeker because it is sophisticated and elegant but also warm and inviting. Be brave and use it liberally. I rediscovered this beautiful colour when looking for a black for a monochromatic scheme (so easy to get this look wrong). This black is deep inky blue and so is softer than pure black and if you use one of Farrow and Balls lighter neutral greens (such as Hardwick White or Old White) you get the lovely black and white monochrome effect with lots of class and softness. An ever useful colour because it is so beautiful. It looks quite purple in the picture shown and indeed it does have those warm base notes but it is also a very modern grey so can be used in both contemporary and traditional settings. I treated myself to a tester of this paint when I was placing an order just because it looked so luscious and it was everything I hoped for. It has just a tinge of Teal in the blue and it is perfectly named because it absolutely could be found in the feather of a peacock. I haven’t used it in a project yet but I live in hope. 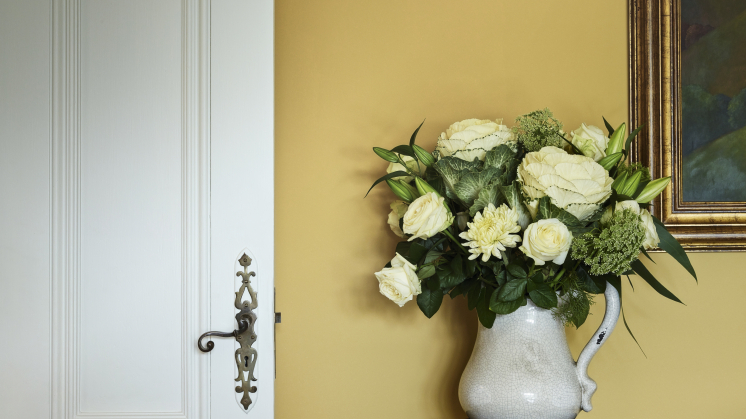 I refuse to put together a list of 10 paint colours without including a glorious yellow – greys may be the colour du jour but I would personally never turn my back on a joyful rich mustardy yellow (there’s no primrose about Bayswater, thank goodness) which can be coupled with an off white woodwork colour and gilt picture frames – heaven. Go on then, I’ll give you just one contemporary, urban, fashionable deep grey because they are rather fabulous. Sanderson Graphite is for grown up grey lovers and it is super smart. Use it bravely and it won’t let you down. Finally, the architectural colours from Paint Library proved another winner this year – my job would be so much harder without this range. An old favourite that is still wonderful and fresh is Paper 3 which has understated class and great versatility. Use Paper 2 if your room is gloomy or Paper 4 if you are flooded with light. 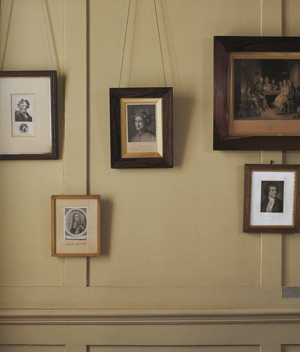 Often I find Paper 1 on the woodwork works brilliantly with Paper 3 on the walls – you see how useful this range is? Wishing you all a wonderful colour filled 2015! Inspired by the Chelsea Flower show which opens this week, and by the glorious sunny weekend we have just enjoyed, I can’t resist bringing you some floral interior inspiration. I love the great outdoors but in truth, these florals are much more my line of country – no weeds, no wilting, no hay fever and are still in full bloom in the winter – perfect! Patterned carpet has often had a very traditional look but this bloom strewn carpet by Sophie Conran for Axminster is gorgeous and up-to-date. 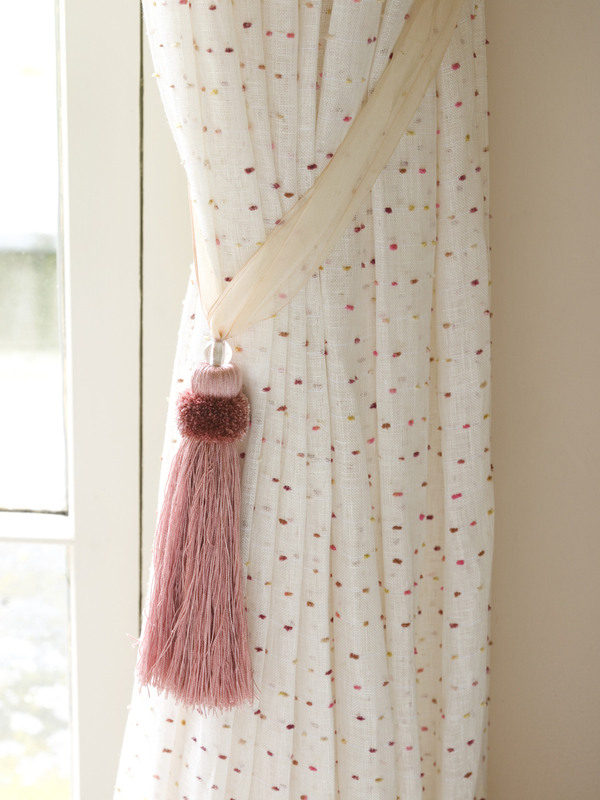 Beautiful and timeless embroidered floral silk curtains create an elegant country feel. Fabric by Colefax and Fowler. We have featured this glorious wallpaper in a previous post but it is so lovely, I think it deserves another showing. This jolly rug adds such a burst of colour to a room that it is hard to resist and I love it in this setting with very cream walls and vintage accessories. Finally I couldn’t write about floral interiors and not give you a cushion or three – these velvet beauties from Forest and Co will add glamour to almost any home and I am very tempted by all of them. Do you have any favourite florals? Let us know while we are in the outdoorsy mood!